Chances are that you have encountered recommendations while browsing online. They appear everywhere – actually, recommendation algorithms drive content in even more places than is evident immediately. These are driven by a recommendation engine, which tries to predict a set of items that might interest you, based on your current context and past behavior. 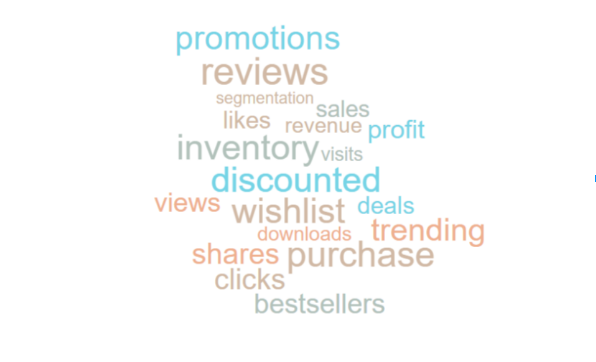 These are so ubiquitous that there are a number of published algorithms that you can leverage such as the Amazon’s item based collaborative filtering . The recommendation engines use a number of signals to generate recommendations. These signals include navigation behavior, purchases, abandoned carts, wishlist items, reviews & ratings, social signals – likes & shares and so on. If you’re an e-commerce manager, you are probably overwhelmed by all the advice out there, wondering about the right signals to consider for your business. In this post we will explore what we think is the core of filtering signals vs noise. Our thinking on this subject is that there are some signals that may not be relevant for your business at all. For example, if your site does not have a lot of user ratings or reviews, then using that as a signal can skew your recommendations towards items with ratings. If you are an outdoor equipment store, your users may use the website for research before visiting the store and feel the product before buying, then the signals for your business are very different compared to a business like Staples where customers may just repeat the last order without much thought. What is a useful signal for another business can be just noise for yours. How do you identify the relevant signals for your business? You will need your team to understand your data deeply, and then build a model with weights for each of the signals. These relative weights are easy to understand with an example – For an e-commerce site, a purchase is a stronger signal of the user’s interest in the product than an add to cart; cart > product view and so on. Once you have the model, you should cross-validate your model against an independent test set to ensure that your model works not just for your input data but can also make useful predictions for the future. You will have to continually tweak your model to fine tune it so you can reduce the noise. Do you know the right signals for your business? Talk to us to find the right strategy for your recommendations.